Before I get into my feelings towards the game, I just want to say that I am not a huge fan of Star Fox. 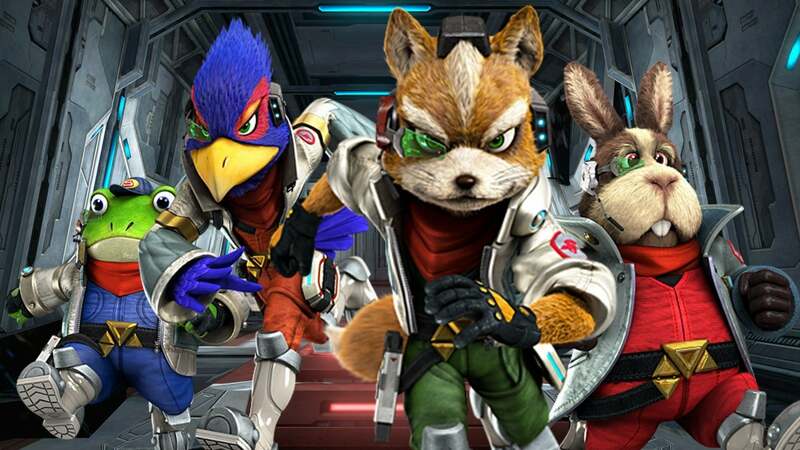 I mean, I like them, own and enjoy every game, but Star Fox is by far my least favorite franchise from Nintendo. The next thing you should know is that when they first revealed the control scheme of this game, I was mortified. I thought it was a ludicrous idea and it ruined the game. I was still going to buy it, but only because Nintendo and Platinum Games both impress the heck out of me with every thing they do. I even looked at a review or two, something I never pay attention to, to see what others thought. And not surprisingly, they were mostly negative, complaints about the voice acting, graphics and ESPECIALLY the controls being the most prominent. So I did not actually buy Star Fox Zero, but my cousin did day one. Right away he called me and said he loved it. He only played one level, but swore it was the best in the series. So the next day he came over and I watched him play the first level, and right away I noticed it was neat to watch. Now know, I typically hate watching others play video games, but for some reason, the view on the screen made the whole thing seem like a cinematic, rather than someone playing a game. This made it interesting to watch. I also noticed that my cousin, playing the game for the second time only, had the controls mastered and was flying and shooting like a pro. For those who don’t know, the flying is done on the TV screen, where much of the shooting is on the gamepad in a first person cockpit view. After he beat the level, he handed me the gamepad and I tried the second level out, not knowing any of the controls whatsoever other than moving the gamepad was how you aimed. In under 30 seconds I figured out all the controls and had them pretty well mastered. So right away all the nightmarish reviews confused me. The controls were so easy to pick up and get used to and on top of it, it utilized the gamepad! Something rare for the Wii U, unfortunately. 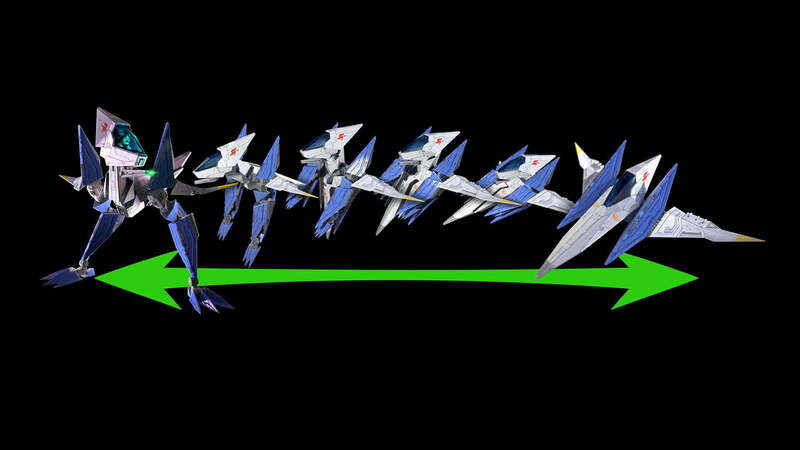 It was so much fun to fly around in a Star Fox game again, blasting away at everything. It played and looked and felt just like you would expect it to. Switching from looking at the TV and the gamepad was easy and made for a different experience for each view. I found that this new type of gameplay added a certain tactical element to the game. Did I want to look at the screen to better see oncoming threats and fly more precise, or did I want to sacrifice that for more accurate firing? I found this choice to really add to the depth and strategy of the game, which added to the fun and overall experience. And I know a lot of people would say, “If they made the targeting on the TV, you could have both!” To answer this, I would simply say, true, but then you would have to focus on one or the other anyway, possibly resulting in an overwhelming and crowded experience. With the two different screens, again, it adds new depth and unique characteristics to the game. Plus looking at the gamepad made me actually feel like I was in control of the Arwing, fighting alongside Falco and the others. I almost wished this game had come out for the virtual reality systems to enhance that feeling even more. Speaking of adding depth to the game, the new Walker mode allows your Arwing to transform into a walking robot thing of mass destruction. The ability to change into this at almost any time during the stage allows you to flip the gameplay on its head with the push of a button. It feels almost like you have entered into a different, yet incredibly similar game. The Walker allows you to access different areas, attack from different vantage points, and more! And again, looking between both screens is amazing and extremely fun. I then played through the third level, actively switching between flight and Walker modes and had a blast, the controls completely comfortable and mastered by now. After I beat this level, I played the first level, but this time I tapped my Fox amiibo on the gamepad. This turned all the Arwings into their SNES Star Fox polygonal glory and even changed the sound effects to their 16 bit awesomeness and even added a graphic for the charged laser, something that was not in the original game. Best of all was the original music from the first Corneria, one of my favorite video game songs ever, started playing thanks to the amiibo. Even the Walker was 16 bit, probably the original design of the canceled Star Fox 2 for SNES it was supposed to appear in. That was a ton of fun to play through like that. Having Walker mode unlocked this time, I was able to go through different paths during the level and even defeated the stage boss in a different way, resulting in a different ending cut scene. Next, my cousin and I tried out co-op. I took the gamepad, which meant I could do nothing but shoot around, while he watched the TV, so he was in control of flying, but also had a laser he could fire straight ahead of him. We had a blast playing this. I loved the fact that I had no control of the ship, because all the movements were a surprise. I felt like I was on a roller coaster when all of a sudden he would barrel roll or somersault, getting a first person view of the maneuvers the Arwing was doing. Awesome fun. We got to fight Pigma of Star Wolf like this, my cousin flying around trying to keep up with the ship, and me blasting away at it. I felt like I was in the scene from Star Wars: A New Hope when they escape the Death Star, but get chased by TIE Fighters. My cousin was like Chewie, flying the Millennium Falcon, and I was Han or Luke in the gun turret thing, trying to blast away at them. Having a feeling like that is amazing, especially since I love Star Wars. The next part of the mission introduced a new ship called the Gyro something or another. This was great, especially in co-op. My cousin flew around while I shot at things, then he could drop down this little robot thing that I took control of to hack into things. Lots of fun. So that was my experience from Star Fox. I absolutely loved it, and it just may be my favorite in the series, though I will wait until I complete the whole game when I eventually buy it to make the official judgement, for playing it took all my doubts about purchasing it and incinerated them in an Arwing laser blast. I hope this encourages anyone else on the fence about buying it to give it a shot. It is well worth it. I already said I am confused about why the controls are getting knocked by reviewers, but I imagine that it is because the developers took a risk and broke away from traditional controls, and change is something a lot of people are not receptive to. Change can be a bad thing sometimes, but in this case, it is incredible and delivers an experience you can only get on Wii U. Though honestly, the game is almost completely playable if you wanted to just look at the TV screen anyway, or even if you just looked at the gamepad. So work on mastering that if you have issues with doing both at the same time. As for graphics, is it the best looking game on Wii U? Absolutely not, but it’s still a great looking game, and the graphical style is everything you would expect from a Star Fox game, so again, I’m not sure what people are upset about. And as for the voice acting…it is just like its always been since Star Fox 64. Again, this game is everything you would and should expect from a Star Fox game, just with a ton of new features and gameplay mechanics that make it a worthy title in series and well worth your time. Plus it comes with another game with it! Eminem’s latest solo album is chock full of nods, throw backs and all sorts of nostalgia from earlier works in his career. I am here to compile a list of them, picking out and listing everyone I notice. I highly doubt I will recognize all of them, so please help out on any I’ve missed that you may have picked up on! Well to start things off, the title “Marshal Mathers LP 2” is a sequel to his second major release, the “Marshal Mathers LP” 13 years earlier. A fitting name, as I am rather certain Eminem was going for a retro feel with plenty of nostalgia for this album. The album cover is even him sitting on the same steps in front of his old home, the exact picture of the first album, except now the house is boarded up and worse for wear. Cool! Now let’s dive into the actual cd. The song in it’s entirety is a sequel to Stan from the “Marshal Mathers LP,” told in the eyes of the late Stan’s little brother, who is indeed mentioned briefly in the first song. A specific nod is at 4:05 when Matthew gives Em back an autographed hat that the rapper sends to him in the first song. Matthew repeats the actions of his brother by driving high speed on a bridge with a live victim locked in the trunk. 5:01 he says to Eminem the same words Stan says on his suicide tape…”well, gotta go, almost at the bridge.” There is even an under toned “haha” after the lyric. This is the continuation to the skit that plays during the song Criminal. Listeners get to see what happens after he shoots the clerk and shouts “Thank you!” That is exactly where this new skit picks up in fact. 4:44, he says “Criminal” in the exact way he does in the chorus of the song Criminal. The last throwback for this one is the last few lines of the song…”White America’s mirror, so don’t feel awkward or weird, if you stare at me and see yourself, because you’re one too.” This is more subtle, but these lines are basically what the whole song White America from “The Eminem Show” is all about. Though this song is filled with mentions, references and samples from many other celebrities, nothing so much about his own songs. The next is rather obvious, as he himself points out a line from the “Marshal Mathers LP,” at 3:43, referring that it was once censored, but no longer isn’t as he repeats the entire line, originally recorded on the song I’m Back. I didn’t notice any here. I will complete the rest of the album next week. See you then! With the release of the first two virtual reality gaming headsets, the HTC Vive for Steam and the Oculus Rift, and with the Playstation VR fast approaching, gaming has finally reached the technology and abilities we always talked and dreamed about as kids. But from what I can tell, this dream is more of a nightmare than anything. Now, I am a firm believer in the whole “don’t knock it until you try it” saying, so I am saying straight away that these are just the views of someone who has not seen or tried any form of these virtual reality headsets, so I really have no basis or intention to say if they are actually good products or not. Instead, I am speaking to you as someone who loves video games, especially companies not afraid to innovate and try something new, which is exactly why Nintendo is my favorite game company, always seemingly focused on the gameplay and experience, rather than pretty graphics, which is why we all play video games…to play them…not to look at them (or so I hope). So when I heard about virtual reality becoming a reality, I was pumped. Something new for gamers to sink their teeth into! I eagerly awaited any type of footage for some games and when the day came that footage started being shown, with more and more revealed all the time, I found myself extremely disappointed. The games, again I have not played any of these, look terribly boring. Many of them are just walking and looking around. I realize this is the advantage of virtual reality, to make you feel like you are in the game, but there should really be a game involved in the looking around. Something immersive and amazing at the same time. I imagine like some amazing Call of Duty or God of War in first person action game, not looking around a forest and fighting some creature. Plus many of the games have the option of using regular controllers, which looks like it takes away from the experience completely, though the option is nice I suppose. There are new controllers as well, for example the Oculus Rift uses two circular controllers with buttons to allow for a much more immersive time while in the headset, though any footage I have seen from them just looks boring as well. New and innovative for sure, but completely uninteresting. They also look like they would be more fun playing with other people, but as far as I can tell, you can only play solo, no one else can see what you see, and you can’t see them. But if you were to both have headsets, then it would be cool to look over at your friend and see his virtual self standing next to you in some game, where you can frolic through wastelands killing all sorts of bad guys and the like. But here’s the biggest turn off to the virtual reality headsets. I just mentioned buying two of them to play with other people. If some siblings wanted to buy 2-4 of them so they can all play together, their parents might as well sell their house to pay for it. The Playstation VR is $400, just as expensive as the PS4, the Vive is doubled that at $800. and the Occulus is $1500! Many people would struggle to buy one of these things, so multiplayer in one household is out of the question. Even if the games looked super fun, these prices would not justify the purchase. The only awesome game I saw was the player wielding a lightsaber and blocking lasers, though that too seemed like it would get boring rather quickly and admittedly, I probably only took interest in it because I love Star Wars so much. And this turned out to just be a tech demo and not an actual game, so there you go. But I don’t really see this taking off, so I don’t think we will have to worry about that. I mean, people complained about the inability to sit on the couch and not move when they had to use motion controls for the Wii, and even about some of the motion and looking around using the gamepad on Wii U, so how in the world will people be okay with turning there head all around, moving their arms (for certain VR systems) and actually standing up!? Another thing I have heard many complaints about the Wii is those more self conscious worrying that they looked stupid while playing with motion controls. Well then how will they ever handle these new headsets and controllers? To me, I feel like the first few times playing it will be a wonderful marvel, but once people get used to it and it no longer feels new, it will be abandoned in the corner of a closet somewhere. But odds are, it will be the most expensive thing buried in said closet. Also, I feel like many things will get broken, household objects and bones from people banging into stuff or tripping and the what not. People were breaking stuff with the Wii Remotes, and they could fully see! Imagine that chaos while being blinded by a headset that transports your vision into a different world! Lawsuits ho! 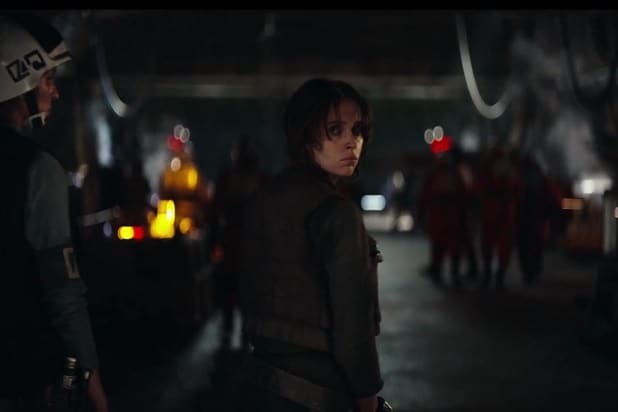 If you use the internet, then chances are you have heard that the Star Wars Rogue One trailer is out. Please watch this! Even if you are not a Star Wars fan, go ahead and watch it! It is action packed and honestly looks better than episode 7. It is a movie for both Star Wars fans and action fans. I swear I thought I was going to see Bruce Willis or Sylvester Stallone pop out of one of the storm trooper costumes. But obviously it is chock full of Star Wars…everything…it being Star Wars and all, so fans of the series will obviously crap their pants over it sooner, or nit pick it to death like some fans love to. I am glad to see that Disney is putting a ton of effort into the now seemingly endless spin offs they have planned. I was nervous that these would be just silly, small, forgettable cash grabs, but the trailer blew me away. I know it is not good to judge a movie by a trailer, but I now cannot wait for this movie to come out. Hopefully I’ll be done picking my jaw off the floor by the time December rolls around. Watch it here, and prepare to be blown away. Also, does anyone else think the lead actress looks incredibly like Aragorn from Sam Raimi’s “Lord of The Rings” trilogy? The new My Nintendo account, replacement of the old Club Nintendo rewards program has at last been launched. I’d like to talk about the differences between the new and old, and see if this is an improvement or not. Right away I must say I am rather disappointed by My Nintendo. The whole thing is a nonsensical mess. You can receive three types of points. The first being platinum points, which can be used for a 15% discount off select games designated by the site.You can get platinum points by completing missions, though the only ones I’ve seen so far are just linking my Nintendo network ID to My Nintendo Account and logging onto Miiverse or visiting the eShop. Gold points, which for some reason, are better than platinum, thus reversing what Club Nintendo’s points used to be…and well…every single other type of awards in the history of medals and trophies. These are obtained by actually purchasing games. What aggravates me, is only games purchased off the eShop are eligible. That’s right. With Club Nintendo, physical copies of all first party games, and even some others provided buyers with a code you could enter to get points. Not anymore. It’s all digital only now, and its bull poop. The amount of points you get varies on the amount of money you spend on eShop. For example, one mission is spend $40.00-$49.99 for 50 points, the next would be $50.00-$59.99 for 60 points. And what can you do with these points? You get a 30% discount off some bigger games, like Splatoon, or even some free virtual console games. The good news about these rewards is that they don’t require too many points to obtain them, but the issue here is that you likely are going to be buying all the big Nintendo games off eShop just to get all the points anyway. I, for one, already have literally every single game available for free or discount on the site except for two of them, which I would have already if I actually wanted them. So unless you plan on buying a ton a cheap indie games, which I do often enough if they go on a good sale, you will not likely ever get to use these gold points on anything you really would want to. There are no fun physical rewards to be seen either, another thing Club Nintendo did better. The third and final type of points are the Miitomo points, obtained for doing things on Nintendo’s first ever mobile app (game?) that launched alongside My Nintendo.There are a bunch of missions related to Miitomo for account members to complete, and a few rewards that I am not sure what they do, due to the fact that I do not own Miitomo, though it is a free app, so if I wanted points that badly, I suppose I could always download it. But obviously, the rewards are usable in the game. You can also combine Miitomo points and platinum points to get the platinum rewards as well, so maybe it is worth spending time on the free app…you know… if I didn’t already own all the games that are discounted via spending earned points. And you can also use platinum points on Miitomo rewards too. So they are basically the same. Each type of point comes with its own bank and keeps track of them separately for you, which is nice. My Nintendo feels like it is just a tool to help push Miitomo, with enough junk on it to keep people interested, however so slightly. Does it compare to Club Nintendo? Not even close, this new rewards program falls way short. But I guess it is nice that they do this at all, and I must say it is really quite easy to get platinum points, and by the sound of the Miitomo missions, they seem pretty easy to. To be fair, the site is brand new, so I am hoping more and more missions and rewards become available as time goes on, and then maybe, just maybe, My Nintendo will become a worthy successor of the missed but not forgotten Club Nintendo.